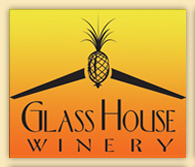 The latest addition to our wine region: Glass House Winery. Glass House wines are made from grapes grown on property in the Central Virginia region. Owners, Jeff and Michelle Sanders sought a way to marry Jeff&apos;s green thumb with Michelle&apos;s labor of love - chocolate making, hence, Glass House offers estate wines, blends, chocolate wine and its own brand of handmade chocolates.